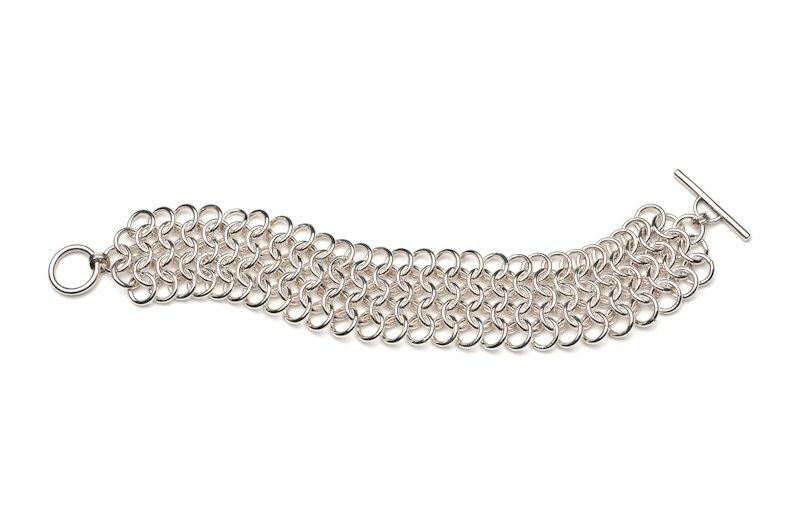 This Flat Chain Mail design is created from using 14" gauge sterling silver round wire coiled into rings. Each ring is assembled into a pattern. The bracelet length is 7" and necklace length is 18". The width is approximately 1.25". Available in other lengths.